Opioid vs. Opiate: What's the Difference? How do the properties of opioids compare to opiates? 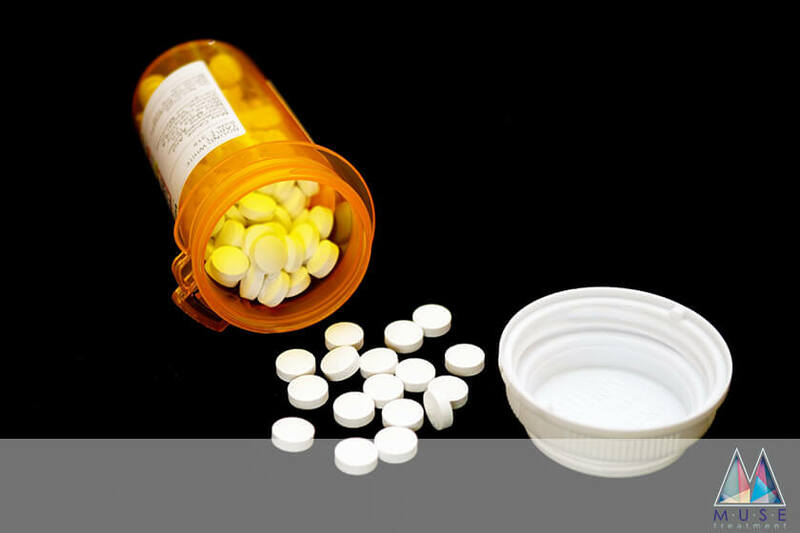 Keep reading to learn more about opioids vs. opiates and the difference between these two highly addictive substances. 80% of those who use Heroin were first on prescription opioids. Though Heroin is an opiate, it has no medicinal value. This is one reason it is illegal. It is addictive by nature, and there is science behind the fact it replaces opiates with ease. So, is there a difference between opioid vs. opiate? If both have similar addictive qualities, then why is only one of them illegal? We know opioid addiction and overdoses have become the modern-day epidemic. So, the terms become almost interchangeable. The descriptions may be similar, but the differences are significant, too. Here’s what you should know. The category of opioids and opiates lies with the substances in their making. Here is the break down of Opioids. As you can see, opioid has become a class of drugs which includes opiates. Though all these drugs are opioids, not all are opiates. The most natural form of Opiates come to us from the poppy plant. Heroin and Opium trace back to early civilization for pain relief and recreation. It wasn’t until the 1700’s that countries like the UK and China began to react to widespread addiction. Though drugs were a profitable export, the resulting havoc among populations was undeniable. In the 1800’s, a French scientist was able to isolate morphine from the opium substance. Morphine is the dominant narcotic element in opium. Its ability to kill pain was both groundbreaking and unfortunate. Its extensive use during the Civil War left more than half million troops in addiction. By the late 1800’s, the search was on for a drug that could lessen pain without the addictive qualities. A British chemist, using the morphine base, came up with Heroin. This early heroin found its way into pain relief for the masses. It was even found in cough suppressants for children. But, the results were skyrocketing heroin addiction. This epidemic was the catalyst for the eventual ban from medical use altogether. It wasn’t until 1914 that the Harrison Narcotic Act began restrictions on opiates. Heroin, opium, and cocaine were no longer legal for sale or use. In the search for adequate pain relief, synthetic opiates, or opioids, began surfacing. Mild versions such as codeine are useful for pain relief and cough suppressant. Stronger versions of the narcotics come in prescriptions for Vicodin and Percocet. The most powerful, Fentanyl and Dilaudid, are for extreme pain. For cancer or catastrophic body injuries, they are very effective. These opioids synthesize natural opiate elements, and the effect on the brain is identical. Both opiates and opioids attach to neurotransmitters. This relieves the body of pain and causes a distinct euphoric high. Those using opioids over weeks or months will note the dosage must go up to achieve the same levels. The synthetic narcotics are different than the natural substances from the Poppy plant. But, the propensity for addiction to either is the same. Heroin, Opium, and Cocaine are all illegal substances. Though they may be more difficult to get, first-time users tend to be recreational. But, their addictive qualities take hold fast. And, those who continue to use often take dangerous steps in getting the drugs. More often than not, those who begin using heroin are prescription opioid users first. So, the introduction to the illegal substance, for them, is a necessity. The use of opioids for most starts with a prescription. And, at some point, the supply will stop. Withdrawal is painful, and buying opioids on the illegal market is expensive. So, heroin is a cheap alternative. And, it works. Many report the high from this opiate is better than those from their synthetic cousins. There are several points in history governments try to control heroin’s consumption. Today, it remains available on every continent. The long history of its use continues. So, is there a difference in treating addiction from opioids VS opiates? The short answer is no. Weeks of use renders our bodies and minds unable to function without them. Their addictive nature can, for some individuals, start immediately. The narcotics have their way with opioid receptors in the brain. And, the ability for it to function on its own diminishes. Withdrawal causes the entire body to feel pain as the drug exits the system. The physical withdrawal may complete within a week. But, the psychological symptoms can last much longer. The brain is no longer able so signal pleasure without help. For many, this is the more difficult stage of treatment. The tools addicts must learn to remain sober are lifelong lessons. For many, a sober lifestyle takes determination and support for the rest of their life. Our long history of addiction is nothing new. We have a propensity for getting high whatever the means. But, we also can wreck our own lives and others in the pursuit. Reaching the breaking point can be a means to the end of using. In the opioid vs. opiate distinction, recovery is one step away. If you or someone you know is suffering, we can help. Our programs address physical and mental well being every day. We are here to help the addict and their families, no matter the history. We know history doesn’t have to repeat itself. Contact us now to learn more about our program optionsÂ and the treatment process.